Commercial general liability (CGL) policy. A standard insurance policy issued to business organizations to protect them against liability claims for bodily injury (BI) and property damage (PD) arising out of premises, operations, products, and completed operations; and advertising and personal injury (PI) liability. The average annual cost for small business General Liability Insurance, regardless of policy limits, was just $575.00 (less than $50 per month), with a median price of $475. Small businesses owners (almost 60 percent) paid between $750 to $2,000 depending on your line of business and coverage needs. What are General Liability Limits ? Each Business has different set of needs some might require as little as 500,000 while some might require up to 50 million in General Liability, there are those who require General Liability Limits in between for 1 million, 2 million and so forth. The per occurrence limit is the maximum amount the policy is obligated to pay for any one covered occurrence. As noted above, the aggregate limit is the total amount the policy is obligated to pay in any one policy term, subject to the per occurrence limit. In other words, the policy will never pay more than the per occurrence limit for any one occurrence. A general liability policy could pay the per occurrence limit more than one time during the policy term. The purchase of General Liability insurance should provide peace of mind for the insured by protecting earnings and assets against unexpected losses. General liability limits must be enough to protect against lawsuits. 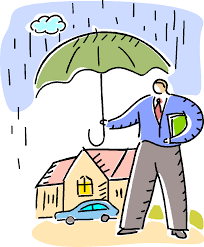 Property coverages limits should protect owned structures and equipments that must be replaced in case of losses.